Wow – can you believe it’s November! We are entering the busiest time of the year, but so full of wonderful things! 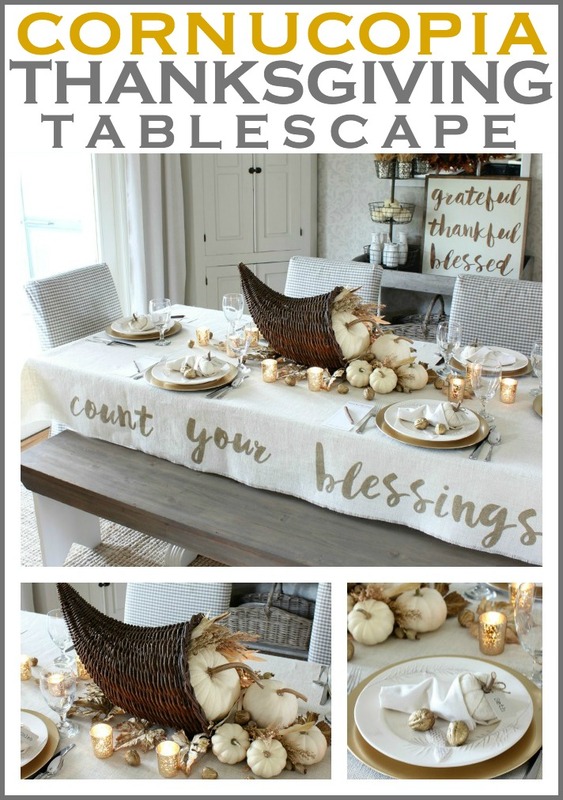 Today a group of bloggers have gathered together to share our Thanksgiving table decor! 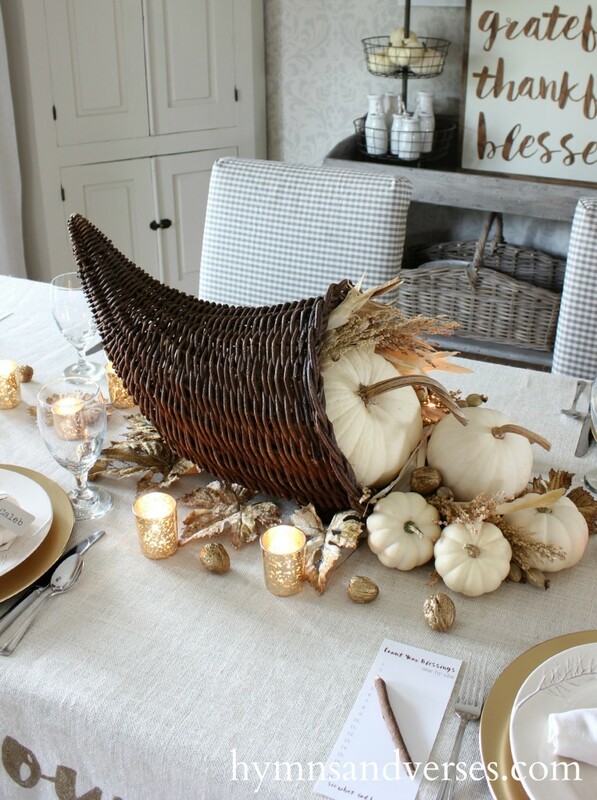 My tablescape features a large cornucopia as a centerpiece and you’ll find so many more creative ideas for your Thanksgiving table. 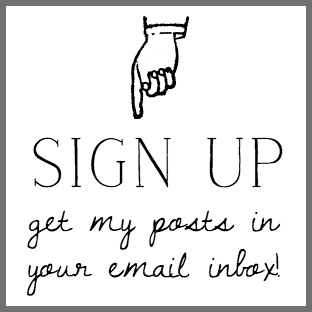 The links to each blog is at the bottom of this post. The theme of my Thanksgiving table is “Count Your Blessings”. 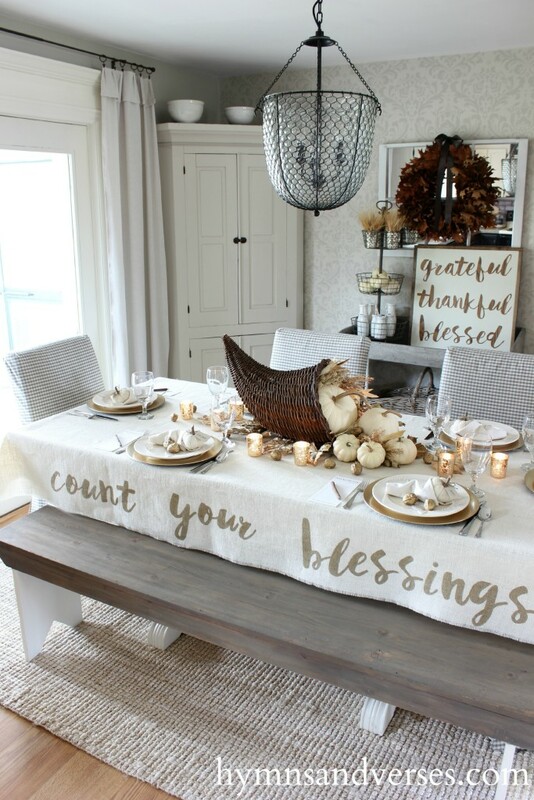 I created a custom tablecloth from cream colored burlap and “Count Your Blessings” on the sides and “One by One” on the ends. You can find the tutorial to make your own tablecloth HERE. 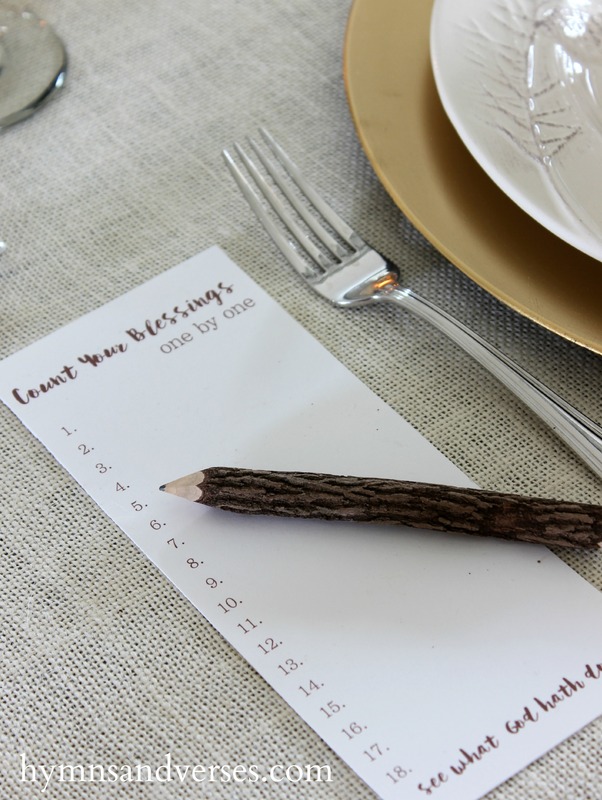 To keep with the “Count Your Blessings” theme, I created cards for each place setting so guests can take a moment before the meal and literally count (list) some of their many blessings. 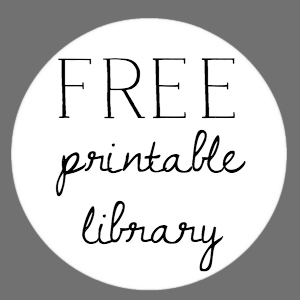 These cards are available to download and print in my FREE printable library. Atop each card is a wood pencil – I got these pencils years ago at HomeGoods (I still see them there for sale periodically). I bring them out each fall and winter for gatherings and games – they are so fun! For my centerpiece, I used a large cornucopia that I purchased at Pottery Barn a few years ago (unfortunately, they no longer carry this). It’s large, but easy to move out of the way as needed. I used white pumpkins that I had outside, along with some indian corn, corn tassels, and dried seed pods to complete the look. The largest pumpkin pretty much fills the opening of the horn of plenty, and the other smaller pumpkins look like they are spilling out. I scattered some pretty leaves and gold walnuts around the base of the cornucopia. Metallic gold spray paint was used to make those walnuts shine and the same paint made my old copper-colored chargers golden – to better suit the color scheme. Gold mercury glass votives are scattered around the table and are so pretty when lit. 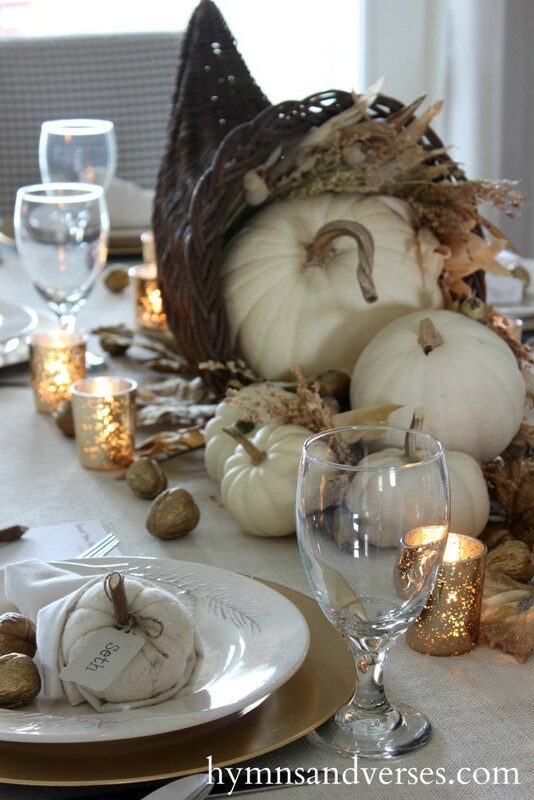 Each place setting features a cornucopia folded napkin holding a felted wool pumpkin place card and a few gold walnuts. You can see how I made the pumpkin place cards HERE. The tutorial for the cornucopia napkin fold can be found HERE. I hope you’ll take time to visit all the other ladies sharing their Thanksgiving tables today. Your table is really beautiful, Doreen. I love your custom tablecloth and all of your special touches – gorgeous! Your table is simply amazing! I love your tablecloth and your centerpiece and your dining room…… I LOVE IT ALL! Nice job! I am going to have my family write down a thankful list as well! I love your Thanksgiving tablescape, especially the color scheme you’ve selected and the centerpiece! This might be my favorite one out of all of them…..so pretty! Perfection!! will you share how you printed on your table cloth? i would add favorite verse on the list of thanksgiving. I’ll be sharing the how to for the tablecloth on Wednesday of this week! Thanks so much, Kristin! And, thanks for all you did to put the hop together! I was just thinking about cornucopias lately. I used to have several. Especially when I taught school and we had a sheet with one and room for writing what we were thankful for beside it. And so your centerpiece I find delightful. Even your napkins are cleverly folded to resemble the symbol of thanksgiving. I love the note pads too. You’ve redone your space to be lovely. Awaiting your instructions on the tablecloth!! 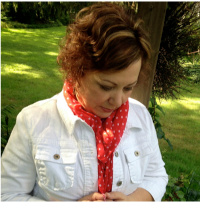 Beautiful, Doreen! I love a traditional cornucopia as a Thanksgiving centerpiece. Yours looks so pretty with white pumpkins spilling out of it. Absolutely delightful, Doreen. I love the serene feel you created. And, your table cloth is awesome. Can’t wait for the tut! Doreen, this is absolutely gorgeous! Love the font and the gold lettering is elegant, yet a bit rustic. Love it! Pinned. So beautiful – love the golds and browns… love the tablecloth and the centerpieces… it’s all beautiful! I love the big bold tablecloth, the entire spread is gorgeous! This table is gorgeous!! I love everything about it! Absolutely gorgeous! Love the tablecloth! I love that Grateful, Thankful, Blessed sign. I just ordered a necklace inscribed with the same words to live by. Love! The table cloth really is a showstopper and the little list is a perfect touch for your incredible table! This is a really beautiful tablescape. I love the message of it. Thanks so much! I think we are all beginning to think about fall decor!!! 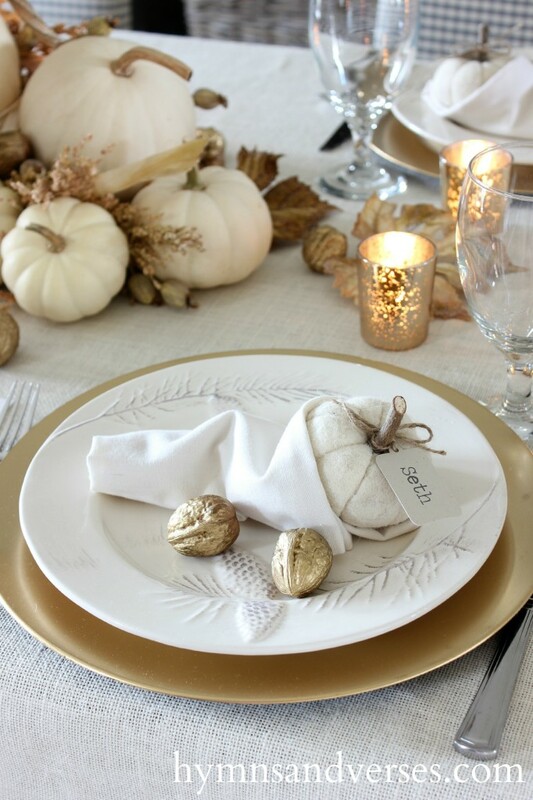 I love your tablescape and plan to use your idea for my table this Thanksgiving. Is eating off plates that have had gold spray painted walnuts safe? Hi, Aathi. The gold painted chargers are just not food safe. They are used on my tablescape to hold my dinner plates as decoration only. The walnuts that have been painted should not be eaten. I hope this helps. Wow, not only do I LOVE this table runner, but the entire set up is gorgeous!! I love your table scape! That tablecloth is absolutely beautiful. Where do you buy your home decor? What is the fonts on the “Count Your Blessings” note pad thingie ? The beautiful calligraphy script? Thanks in advance!